The idea for this website came about in the fall of 2009 when a number of CED Alumni of Color from the 70's / 80's came together to support a talented Latina that was being denied admission into the graduate program at CED. This event underscored the lack of Latino / Minority representation at CED - and a sense of urgency to do something about it. So a group of CASA alumni collaborated to conceptualize the CASA Alumni Website (some of which are pictured at the right); ThirdWave Corporation designed and developed the site. The objectives of the Website are to establish a living archive of the history and extraordinary work produced by students and alumni of color; promote recruitment of Latino / Minority students to CED; and provide academic support and access to professional networking opportunities. The CASA Alumni Website is dedicated to the premise that if talented Latinos / Minorities have access to higher education, and are given the opportunity to succeed, they often do. This site will be used as a tool to support collaborative strategies between CED Alumni and students – and perhaps the CED administration, to enhance the diversity of students and curriculum at CED. As the content in this website illustrates, when Chicanos / Latinos and Minorities attend a world class university – the results are exceptional academic achievement and professional contributions to the built environment and society as well. 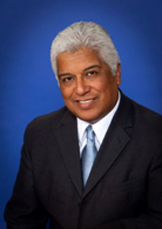 Roy Hernandez is the President / CEO of ThirdWave Corporation, a Consulting / Systems Integration firm in Los Angeles. Established in 1987, ThirdWave provides a broad range of professional services assisting government agencies and Fortune 500s evaluate, select, and implement Information Technologies (IT). The firm has done projects in the US, Canada, Europe and the Middle East. Mr. Hernandez has been an innovator and leader in the use of IT for 30 years. He pioneered the use of the Internet, Electronic Document Management Systems, Computer Aided Design & Drafting Systems, and Geographic information Systems. Roy holds a patent for Rapid Workflow®, a business process improvement methodology. He is a frequent speaker at national / international conferences and major universities. Roy has received numerous national / international awards for large IT projects and was appointed to the California IT Commission, an advisory body to the State of California CIO. Prior to ThirdWave Roy worked at IBM for 8 years: 4 years in the HQ Marketing Group supporting IBM's largest accounts in the US and 4 years as an Architect / Construction Manager at IBM San Jose. There he authored the first book on CADD for Architecture / Engineering / Construction - the Facilities Design Handbook (1982) an IBM Internal publication. Prior to that Roy worked in leading Architecture / Planning and Construction Management firms in Silicon Valley and San Francisco. Mr. Hernandez is a frequent speaks at inner city high schools, community colleges and universities at career days, and has painted murals with students in LA's South Central High Schools. He speaks at conferences for non-profits providing services to minority / low income communities, imparting strategies on leveraging the Internet for revenue generation. In 2007 Roy was recognized for decades of pro-bono contributions to minority students, minority/women-owned businesses and non-profits when he was one of a handful of Latino businesspersons in the US honored with the Latino Coalition / AFLAC Civic Award for business leadership and extraordinary community service. 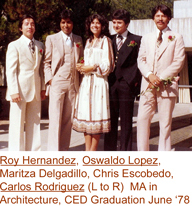 While at CED, Roy was involved in starting RAZA DAY (begun by his brother Sergio Hernandez, Maria Cesena and Diane Bosquez) and was the co-founder of the Community Design Outreach Program at CED. Both focused on recruiting minorities to U.C. Berkeley and CED. Roy received his Bachelor of Arts degree in Architecture, with Honors, in 1976 and his M. Arch in Architecture and Urban Design from the College of Environmental Design U.C. Berkeley in 1978. He received the Ida B. Wheeler Undergraduate Scholarship in 1974 for "Outstanding academic achievement" and the National Hispanic Scholarship Prize in 1978 for "Academic achievement and professional promise." He attended the Harvard Graduate School of Design, Cambridge, in 1981 for CADD. Oswaldo Lopez currently serves as Senior Director for Hilton Worldwide, Inc. overseeing all new hotel and resort developments in the Western U.S./Canada/Hawaii regions. He also oversees all new luxury and lifestyle hotel and resort developments in both Central America and Latin America. 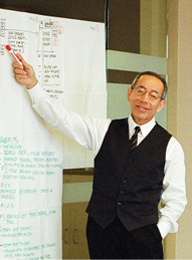 Prior to his appointment with Hilton, Oswaldo held various positions as Vice President and Director for nationally recognized real estate development and architectural firms where he was responsible for the management of high profile architectural and construction projects throughout the U.S.
For ten years as President of Sierra Pacific Land Company his company was instrumental in the success of constructing over $35 million dollars of affordable housing and day care centers in the Pico Union/Belmont and Watts areas of Los Angeles. His company in partnership with the Latina founded non-profit New Economics for Women (N.E.W.) and Century Housing Program developed and built the largest single teenage mother housing facility in the Western US. In addition, his company co-ventured with Brenda Curry of CURTOM Development and Construction to build the first day care facility in Watts for the Century Housing Program thus forming one of the first wholly owned Latino/African American joint ventures in Los Angeles County. Oswaldo has served on numerous community based organizations including Grand Performances @ California Plaza and The East Los Angeles Classic Theatre where he served with fellow board members and founder Tony Plana, Andy Garcia, Edward James Olmos, Nancy De Los Santos and other notable Latino actors and entertainment professionals. Oswaldo was recently honored by the American Resort Development Association (ARDA) by receiving the 2010 ACE Award for Project Excellence for his project management of the new Grand Waikikian a 331 unit, 38 story high rise timeshare for Hilton Hotels on the island of Oahu, Hawaii. Oswaldo received his Bachelor of Arts degree in Architecture in 1976 and his M. Arch degree in Architecture and Urban Design from the College of Environmental Design UC Berkeley in 1978.